Pay-per-click (PPC) advertising is a straight-forward way to spread the word about your institution and give your student recruitment numbers a noticeable boost. 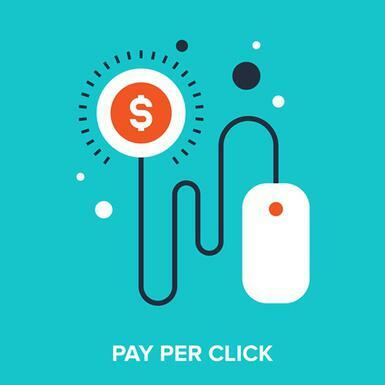 PPC is quantifiable, measurable and when done right, the impact can be instantaneous. Of course many colleges and universities are already using paid search as a key part of their digital marketing strategy and with so much competition out there how do you ensure your ad is going to be the one that gets the click? We’re going to take you through 4 golden rules to ensure your PPC campaign works at hard as it can for you. Paid advertising or PPC campaigns don’t come cheap so you really want to make sure each click counts. Ok this sounds like common sense doesn’t it? Your ad needs to relate to what the user is searching for. The more your ad matches the searcher’s needs the more likely they are to click and the more likely they are to be interested in what your landing page is offering them. In other words if you’re a private liberal arts college on the east coast advertising a theatre arts program then it makes sense really not to target key words such as “nursing schools Alaska”. It makes sense, you know it does. Know who your desired audience is, know who your competition is and know what it is you’re offering to your audience. A unique value proposition should grab your audience’s attention. You think trying to fit what you want to say into a 140 character tweet is hard? A PPC ad gives you 25 characters to describe and sell your school or program. Try to focus on a unique selling point. Are you the top ranked school in your state? Do you have a renowned theatre program? Look at the ad below, its UVP is that the chandeliers are sold at a lower cost and bonus they offer free shipping. It’s easy to get carried away trying to showcase your selling points but don’t forget to inspire action too. Phrases like “download a brochure, book online, talk to someone today, contact us” empower potential students to take action. Knowing the higher education target audience as you do means you’re aware that social media is where they tend to spend much of their free time online. Twitter, Facebook and Instagram retargeting ads are all effective tools in helping you land the student leads that somehow eluded you the first time round. Don’t be afraid to experiment with PPC, use keyword tools to see what terms are most commonly searched for and if at first you don’t succeed…you know the drill!